Here is a list of famous people from Kiribati. 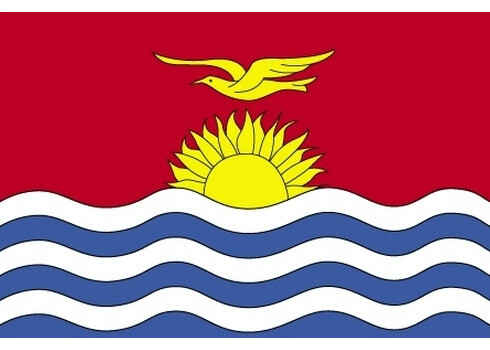 Curious if anybody from Kiribati made it our most famous people in the world list? Read the aformentioned article in order to find out. Anote Tong is an I-Kiribati politician with Chinese heritage who is the President of Kiribati. He won the election in July 2003 with a slim plurality of votes cast against his brother, Dr. Harry Tong and the private lawyer Banuera Berina. The elections were contested by the opposition, due to allegations of electoral fraud but the High Court of Tarawa had confirmed that there was no fraud. He was easily re-elected on 17 October 2007, for a second term. In 2012, Tong was reelected for a third term, although with a significantly smaller percentage than in the previous two elections. Nooa Takooa is a sprinter, who internationally representing Kiribati. He participated in 2009 World Championships in Athletics and 2010 Summer Youth Olympics. He represented Kiribati at 2012 Summer Olympics in London in the Men's 100m event. Takooa was eliminated in the preliminary round but finished with a personal best time of 11.53. Takooa is Mormon. The Rt Hon Bikenibeu Paeniu is a politician from Tuvalu. He has served twice as the Prime Minister of Tuvalu. Joseph Yan is an I-Kiribati footballer who plays as a Striker. He represents Kiribati at international level. Nabaruru Batiri is a Kiribatian soccer player who plays for Kiribati national football team. Biitamatang Keakea is an I-Kiribati footballer who plays as a Midfielder. He represents Kiribati at international level. Jeff Jong is a Kiribatian soccer player who plays for Kiribati national football team. Kaingaue David is an I-Kiribati sprinter. She competed in the 100 metres competition at the 2012 Summer Olympics; she ran the preliminaries in a personal best of 13.61 seconds, which did not qualify her for Round 1. Karotu Bakaane is a Kiribatian soccer player who plays for Kiribati national football team. Tarariki Tarotu is an I-Kiribati footballer who plays as a Goalkeeper. He represents Kiribati at international level. Martin Miriata is an I-Kiribati footballer who plays as a Striker. He represents Kiribati at international level. Tiaon Miike is an I-Kiribati footballer who plays as a Goalkeeper. He represents Kiribati at international level. Atino Baraniko is a Kiribatian soccer player who plays for Kiribati national football team. Kaben Ioteba is an I-Kiribati footballer who plays as a Defender. He represents Kiribati at international level. Antin Nanotaake is a Kiribatian soccer player who plays for Kiribati national football team. Enri Tenukai is an I-Kiribati footballer who plays as a Defender. He represents Kiribati at international level. Kaake Kamta is an I-Kiribati footballer who plays as a Defender. He represents Kiribati at international level. Atanuea Eritara is an I-Kiribati footballer who plays as a Striker. He represents Kiribati at international level. Tongarua Akori is a Kiribatian soccer player who plays for Kiribati national football team. Baruru Kaiorake is a Kiribatian soccer player who plays for Kiribati national football team. Benjamina Kaintkuaba is a Kiribatian soccer player who plays for Kiribati national football team. Erene Bwakineti is a Kiribatian soccer player who plays for Kiribati national football team.